When you think of bamboo you may think about panda bears eating it in some tropical Asian country. You may be surprised to know that there are also cold-hardy varieties of bamboo that can be grown in Missouri. Bamboo is a member of the grass family and is an amazing plant that can grow up to 4 feet in a single day. Bamboo provides tropical beauty as well as privacy screens. Growing bamboo trees in Missouri is possible once you pick the right variety of bamboo. 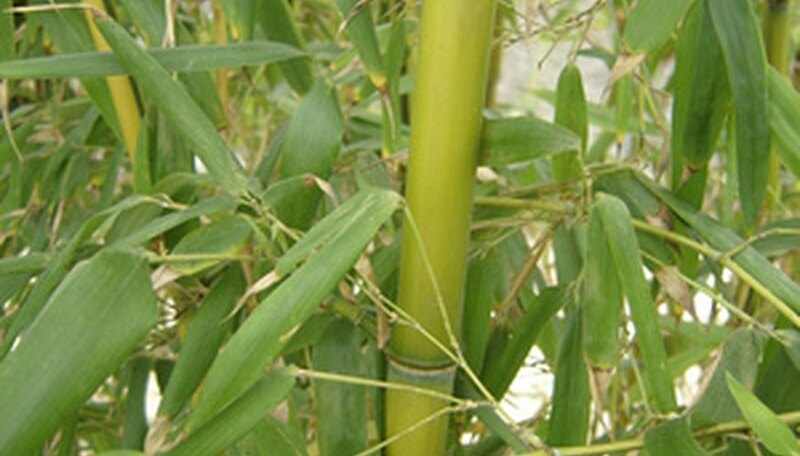 Research and purchase a variety of bamboo that can grow in the Missouri climate. Missouri's climate zones range from zone 5 over the extreme northern part of the state with the rest of the state being mostly zone 6. The extreme southeast corner is zone 7. Cold-hardy bamboo can be purchased from many online retailers. Dig up the soil and remove weeds from the area you want to plant your bamboo. Loosen the soil. Missouri's soil is mostly comprised of dark brown silt loam which is well-draining and conducive for excellent bamboo growth. Plant the bamboo rhizomes 1 to 2 inches deep in the soil. If you are planting a plant, plant it so the soil level is even to its previous level in the container. Mulch the area with a 2- to 3-inch deep layer of wood mulch. This will help control weeds and keep the soil moist between waterings. Water the bamboo to keep the soil moist. Missouri averages 35 inches of annual rainfall in the northwest part of the state to 48 inches of annual rainfall in the southeast portion of the state. Supplemental watering is most needed in summer months when hot and dry weather can prevail. Allow the soil to dry a little between waterings once the bamboo becomes established, which is usually a few months after planted. Fertilize with a general purpose fertilizer once per month to promote lush growth. Read the application directions on the fertilizer bag. Bamboo prefers full sun to partial shade, although certain varieties can thrive in heavier shade. Mulch your bamboo heavily in winter to prevent the ground from freezing around the rhizomes; 6 to 12 inches of mulch is sufficient in Missouri. Some bamboo species can be invasive. If planting running bamboo, consider burying a high density polyethylene barrier down to a depth of 30 inches around your bamboo to keep it from spreading.